The Louis Marcel/Opilca Hair Removal Cream is proudly made by GSK. From this multinational provider of healthcare products comes a product manufactured from the best nourishing natural materials and specially made for sensitive skin. The natural extracts contained in the formula are specially included to help soothe your skin so that you can enjoy smoothness and hairlessness without having to worry about irritation and skin damage. GSK is widely known all over the world for researching and manufacturing high-quality medical products. The Louis Marcel/Opilca Hair Removal Cream is another addition to their catalog of high-quality healthcare products. This particular hair removal cream is made to be extra gentle with a formulation that is ideal for sensitive skin. Since sensitive skin is more prone to irritation and damage, the Louis Marcel/Opilca Hair Removal Cream is formulated so that it can efficiently get rid of unwanted hairs while at the same time protecting the natural skin barriers that keep the skin healthy. Since it is made with only the best skin care ingredients, you can rest assured that it is suitable for use in areas that are considered most sensitive, such as the face and pubic area. In these areas of the body, you want to take extra caution as introducing harsh chemicals may lead to irritation and skin damage, or even conditions as serious as burns. Louis Marcel/Opilca Hair Removal Cream contains natural extracts of chamomile and calendula. Chamomile is known to be a highly beneficial ingredient for the skin, including properties such as anti-fungal, anti-inflammatory, antibacterial, antiseptic, and antioxidants. It is also considered hypoallergenic as it works to reduce irritation on the skin by means of neutralizing free radicals. Calendula, on the other hand, better known as marigold extract, works by soothing and smoothing the skin. With Louis Marcel/Opilca Hair Removal Cream, you can be confident of the best natural ingredients in combination to come up with a hair removal product that is skin-loving and natural, so you can enjoy it freely without having to worry about side effects or irritation. At the affordable price, you get a six pack of this wonderful product that is proudly made with great quality and promises to take good care of you and your skin. 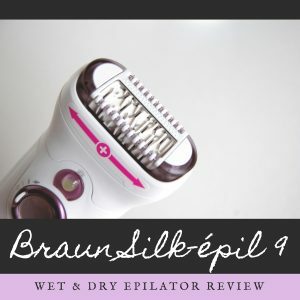 Hair removal can be a long and repetitive process, and the long period between regrowth while using this product will allow you more time to enjoy smoother and hair-free skin. You can also be confident that it won’t stretch your budget when it comes to using this product. You are sure to reap the benefits of effective hair removal and smooth and healthy skin without having to spend as much as you commonly might on salon treatments. Since the product is gently formulated for sensitive skin, you may have to leave it on a bit longer than your usual hair removal creams, giving it more time to take effect. If you want a hair removal product that is kind to your skin, the Louis Marcel/Opilca Hair Removal Cream is what you are looking for. It is specially made with care from one of the world’s leading healthcare manufacturers, so you can trust that you will get only the best of the best when it comes to quality. The herbal extracts contained in the formulation are a special bonus since not all hair removal products bother to look to Mother Nature to complete their formula. The natural ingredients in the formulation make sure that you are using something that complements your natural skin protection.